Anyone who watched man-witch Derren Brown predict the lottery results on TV last week couldn’t have failed to have been massively underwhelmed by his subsequent explanation that it involved “deep maths and patterns within random behaviour.” The real explanation, though, was obvious: Derren Brown sold his soul to the devil and can travel through time. Still, the more I thought about it, the more I was swayed by his account. I realised that there’s a hint of ‘deep maths and patterns’ within the A New Band A Day archive, in so much that there are a disproportionate number of Swedish bands in there. Check for yourself and drown in Swedish bands here. Perhaps it’s some sort of musical reflection of sub-molecular cosmic order. Or maybe it’s just that Sweden keeps cranking out great bands, one after another. 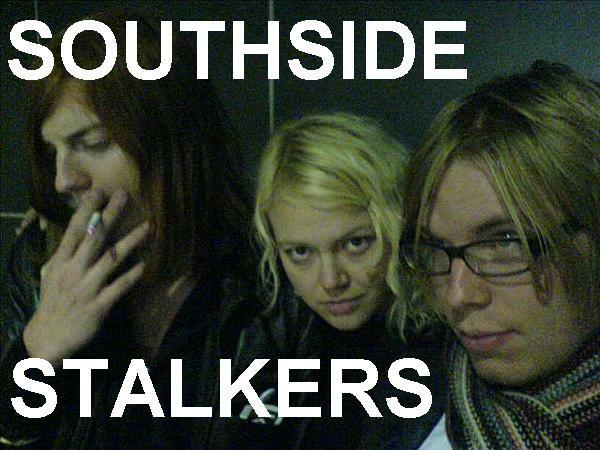 Take Today’s New Band, Southside Stalkers, from Stockholm. Their songs are typically brief bursts of poppy rock, exploding into your life, wiping a smile all over your face, and skipping quickly away. Bones is just plain daft, a riff on an anatomical song you’ll already have sung at nursery, albeit with a new, sweary ending. The band just about stay in control to create a neat, playful song, despite the fact that they sound like they’re having all the fun in the world. Even more shiny pop happiness is in Robert Downey Jr, which is on one level a meditation on the perils of massive drug addiction, but most obviously a truly brilliant, knock-about jangly pop blast. And it’s under two minutes long. All the best pop songs are under two minutes long. It’s the song The Kinks or The Monkees should have written, but couldn’t. 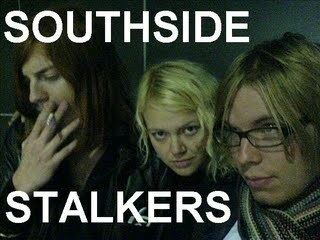 Southside Stalkers are a crsytal-clear, 100%-added-sugar delight – life affirmation doesn’t get much better than this. Posted on September 17, 2009 by Joe Sparrow. This entry was posted in Today's New Band and tagged chiming, most fun ever, Sweden. Bookmark the permalink. ← >Today’s New Band – Shark?